I am interested in the insides of cells. How do subcellular organelles self-organise and can this malfunction during disease? I study organelle assembly and function using tools including quantitative live cell imaging, genome editing and biochemistry. 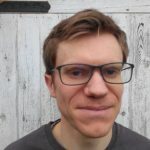 I have worked as a Wellcome Trust PhD student in Infection and Immunity at the University of Cambridge UK, an EMBO fellow in cell biology and biophysics at the European Molecular Biology Laboratory (Heidelberg, Germany), and a Henry Wellcome Fellow in the Department of Physics at Imperial College London. I currently work at the MRC Cancer Unit, University of Cambridge, UK.